We all know that Christmas officially begins on Christmas Eve, but when does Christmas officially end? The answer gets a bit complicated . . .
On January 6th, the Feast of the Epiphany (in most places in the U.S. the feast is transferred to the Sunday between January 2 and January 8), the Church celebrates the biblical event where the Magi, also called the Three Wise Men or Three Kings, traveled from the East to pay homage to the newborn King, Jesus Christ. Many believe that this is the date when the Christmas season officially ends, being the end of the traditional 12 days of Christmas. However, according to the Roman Catholic liturgical calendar, Ordinary Time doesn't officially begin until the Monday after the Feast of the Baptism of the Lord, which (usually) falls on the Sunday after Epiphany (January 6th). This means that the Christmas season actually extends beyond the popular "Twelve Days of Christmas." In 2017 we have a unique situation. If Epiphany is transferred to the Sunday that falls on January 7th or 8th, then the Feast of the Baptism of Jesus is celebrated on the following Monday instead of the next Sunday. So, this year, Ordinary Time begins on the Tuesday after Epiphany. In the older tradition (which is still kept in the liturgical calendar of the Extraordinary Form of the Mass) Christmas lasts until Candlemas, or the Feast of the Purification of the Blessed Virgin Mary and the Presentation of the Lord, which isn't until February 2nd. This marked the end of a long 40-day "Christmastide" that corresponded to the 40 days of Lent. On February 2nd the Church celebrates the day that Mary entered the temple with the Child Jesus when her days of purification after giving birth were fulfilled, according to the Mosaic law, and when Simeon made his well-known prophecy about Mary and the Child. It is historically called "Candle-mas" because of Simeon's prophecy of Jesus being a light for the Gentiles. Today it is better known as the Feast of the Presentation of Our Lord. Another element to throw into the mix is that the "octave" of Christmas ends on the eighth day after Christmas, which is January 1st, the Solemnity of Mary, the Mother of God. Christmas is not celebrated for just 24 hours; it is given the honor of eight days (octave) of celebration which is a custom that traces its roots to Old Testament feasts. The end of the octave is the end of the Christmas feast proper, after which begins the longer Christmas season that extends either to the Baptism of the Lord for the Ordinary Form of the Mass (usually the Sunday after Epiphany) or the Purification of Mary for the Extraordinary Form of the Mass (February 2 - Candlemas). However this understanding of a proper Christmas 'feast' in some Eastern traditions is also associated with the 12 Days of Christmas which culminates on Epiphany. Confusing? You bet. Unfortunately the confusion is not cleared by going deeper into Church history. The feast of the Epiphany originated in the East as a major feast day. The name Epiphany, meaning 'manifestation' or 'theophany' (understood particularly as a manifestation of Israel's Messiah to the Gentile nations), has also been associated with the other biblical manifestations of Christ. Historically, at least three events were celebrated on the same January 6 feast day---the feast of the Nativity (not on Dec. 25), the visit from the Magi, and the Lord's Baptism---in various locations in the first centuries of Christianity, and sometimes also a fourth, Christ's first miracle at the wedding feast of Cana. It was called generally the feast of the Epiphany because these were all epiphanies of Christ. Eastern Rite Catholics today, for example, primarily celebrate the 'epiphany' of the Lord's baptism on January 6th, and not primarily the 'epiphany' of the visit from the Three Wise Men, while Latin Rite Catholics currently celebrate these two feasts on consecutive Sundays. In fact, in days of old, it was January 6th that was the traditional Christmas gift-giving day, because this was the day that the Baby Jesus received his gifts from the Magi. To make things even more confusing, the visit from the Magi that is today most associated with Epiphany in the Latin Rite likely occurred after the Presentation in the Temple (which is celebrated on February 2), because it was after the Magi visited the Holy Family that they fled to Egypt to escape Herod's murderous threats. SO, WHEN DOES CHRISTMAS END? The Christmas feast proper ends on the final day of its octave, which is the feast of Mary, the Mother of God, on January 1st. Keep your feasting, parties, and merriment going for the full 8 days. The 'peak' of the Christmas 'season' is January 6th---Epiphany---the end of the 12 Days of Christmas. Jesus is now revealed as a light to the Gentile nations. Keep your Christmas decorations, especially your Christmas tree and lights, up at least until this day is over. The official end of the entire Christmas season on the new liturgical calendar is the celebration of the Baptism of the Lord, after which Ordinary Time begins. Keep your nativity scene displayed up through this day, or better yet, until the Presentation of the Lord on February 2nd (which is a feast of the Baby Jesus). These are just suggestions, of course, to help you get the most out of celebrating the Christmas season to the full. The varying Christmas traditions reflect the universal nature of the Church (all tribes and tongues!) which has been going strong for 2,000 years. Everyone is on the same page generally speaking in keeping the Christmas feast, even though there have naturally arisen differences over the millennia in exactly how this is done from place to place. The most important thing to remember and practice is that Christmas BEGINS on December 25th, and is to be merrily celebrated for many days afterward, either 8, 12, or 40! Do you have any thoughts to add? Please share in the comments below. This article has been updated and was originally published in 2013. © The Catholic Company. "The First Advent of our Lord in the flesh occurred when He was born in Bethlehem, was December 25th, a Wednesday, while Augustus was in his forty-second year, which is five thousand and five hundred years from Adam. He suffered in the thirty-third year, March 25th, Friday, the eighteenth year of Tiberius Caesar, while Rufus and Roubellion were Consuls." Hello Anthony - These passages are great resources, and we don't disagree with them. You left out an important phrase from your quote of the article “Historically, at least three events were celebrated on the same January 6 feast day—the feast of the Nativity (not on Dec. 25)...in various locations in the first centuries of Christianity". I believe Gretchen meant that Christmas wasn't necessarily consistently and only celebrated on December 25th from Day 1. The Church Fathers you reference are from the second century, so our statements are not mutually exclusive. Hope that clears things up. 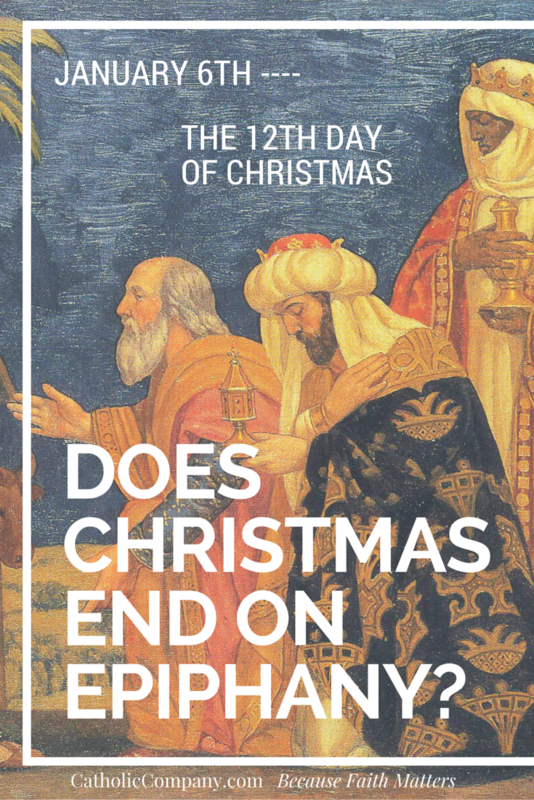 "Because Christmas is a Solemnity, the highest ranking of all feast days, it is not celebrated for just 24 hours; it is given the honor of eight days (octave) of celebration which is a custom that traces its roots to Old Testament feasts." This sounded a tad misleading to me. Christmas does have an octave, but it is not because it is a solemnity. Only two octaves exist in the General Roman Calendar today, but there are many more solemnities. Hi Steven, thank you for pointing this out, we will clarify the statement! This seems to totally ignore Advent, which begins the 4th Sunday BEFORE Christmas in Protestant churches. That's when decorations are first put up, etc. Hello Claudia! Catholics certainly celebrate Advent for 4 weeks prior to Christmas, but the focus is more on penance, reflection and preparing for the coming of Christ. As far as when people decide to put up their Christmas decorations, that varies by person. I just Love Love Love Christmas !!! I wish it would never end !!! I love the thought of God coming down to earth as a baby , here to die for us one day . I was so happy to hear we could celebrate Christmas until 2nd of February !!!! The feast of the Presentation . I love looking at my manger ! I have a statue of the Infant of Prague up all year also , He is so cute !!! Not to mention so special !!! Christmas is my favorite time of year !!! May the infant Jesus be praised , blessed, loved , and adored now and forever !!! It is sad day to put my Christmas decorations away . Jesus is the true light that came into our darkness , may we bring His light to others to draw them closer to Jesus . Wise men still seek Him ! Thank you for all this wonderful information I love Christmas it is always in my Heart ?? Jesus is the reason for the Season I don't put all my decorations away I love the lights and the beautiful crèche with Jesus as the center : The birth of Our Lord HE has come for each one of us HE loves us very much just open your hearts and accept HIS love and kindness and always His Mercy ??? Yes the world makes it feel like Christmas is only in December, but if you look at Christmas from just a Catholic liturgical perspective Christmas begins only in Dec. 25th and ends either January 6th at Epiphany or even until February 2nd at the Presentation of Out Lord. We can change how Christmas feels for our families by bringing in more Christian traditions instead of focusing on what the world displays what Christmas is about before December 25th (or shopping, carols, Santa). Those are not bad things, but not what Christmas is really about. Also, if you celebrate it until Feb 2nd, it brings so much light and joy to such a dreary part of the year. This is a bit different of a question and I can’t seem to find the answer so I’m hoping someone can help me. My family lost our father on December 29th of this year...so during the Octave. There was a different priest since ours was out of town and he said there was something special about those who pass away during those 8 days. None of us caught it and I can’t find anything. Did I misunderstand in my grief or is there special meaning we can hold on to? Faith was his very first value so truly it wOuld make sense even though our hearts are broken at the unexpected loss. Thank you if you can help. Hi Pam, the great feasts of the Church are celebrated for eight days. So that means that December 29th, being in the octave of Christmas, is still the Christmas feast. So, your father died during Christmas, which is indeed a beautiful grace! Also, this day is the eve of the feast of the Holy Family (celebrated on Dec. 30th in 2018). Thank you for your well written and seemingly very thorough explanation. I will definitely keep up the decorations at least until the 6th. And endeavor to keep the love and joy of Christmas in my heart through out the year. I also enjoyed reading the replies. Ever since I was a little girl my mom always kept the Christmas tree up not only in honor of the 3 Wise Men bringing gifts to the infant Jesus but who those who Celebrate from the old Julian calendar Greek Orthodox Christmas even those we were Roman Catholic and that for all you who wonder is January 7th exactly 2 weeks after our Christmas! That was my great great parents tradition straight on down to mine and I’m 63 almost 64! Most people in the Greek Orthodox Church celebrate Christmas on December 25th. But some still use the Julian calendar and so celebrate Christmas on 7th January! ... In Armenia, the Apostolic Church celebrates Christmas on January 6th. It also celebrates 'Epiphany' on this day. Maybe I've just never aware of all Christmas traditions, but to me December....and December alone is the time for Christmas and doing Christmasy stuff like putting up decorations, listening to carols, watching festive films, dressing in festive clothes, etc. To me January is when Christmas ends and is of course the start of a new year. I am in love with the painting of the Magi presenting gifts. (The first image with the blue star). Do you know who the artist is or whether it can be purchased please? Hello! This is a very widely used internet image. (and it is quite beautiful!) That being said we're not sure who the original artist is. If you'd like to see if it is sold anywhere, you can actually copy the picture and then drag it into a google image search. God bless! Gretchen, thank you for taking the time to explain the background of the Christmas traditions and customs. I just wanted to share my thoughts on some of the comments posted (not aimed at anyone specifically, just a general opinion). Christmas is a time for us to reflect on God's profound love for mankind, that He choose to come into our world as one of us. This reflection should be with us each day of the year. So for me, if we are looking at the real reason for the season, it is Christ Jesus who we should be celebrating and worshiping each and every day of our life. As to the question how long to keep decorations up... this is subjective. In my opinion I would have the Crib scene displayed throughout the year. As for the other decorations... if they help people to focus on the real reason then great otherwise they serve little other purpose. So if having the decorations out longer gives one an opportunity to talk to someone about Jesus or bring someone closer to Jesus this would be fantastic. Gretchen, thank you again and God bless your ministry. The 12th Night can actually be a matter of opinion. It all depends on whether you think the Twelfth Night goes before, or after, the Twelfth Day. Some people count the 12 days of Christmas as starting after Christmas Day - making 6 January the Twelfth Night, and meaning the arrival of the three wise men should still strictly count as Christmas. So.... What is the proper time to stop singing Christmas carols during mass? On another related topic: I was raised in Indonesia where we strictly do not start celebrating Christmas until Christmas Eve. We jokingly say that pre-Christmas celebrations (as our Protestant friends often have) means Baby Jesus was born prematurely. However now I live in Australia where carols are sung in community celebrations not only on TV but in Catholic parishes as early as December 1st. The argument is that by Christmas time proper many parishioners would have been gone on holidays. Also due to the holidays (which is also the Australian summer), some parishes do not celebrate the Christmas season with liturgical fervour: after Christmas Day there is no musician, no choir, no set music and hymns until February. (Gretchen, one of such parishes happens to be a Dominican.) As a result, Australian (Catholic) Christmas effectively starts in early December and finishes on Christmas Day. Although decorations may remain, the spirit is certainly gone on holidays by the end of Christmas Day mass. Am I too conservative in feeling that this is wrong? Should we not, as Catholics, keep to the liturgical instead of holiday timeline? Thanks for this information. It is so disheartening to see people disposing of their Christmas decorations and tree a day or two after the 25th because "Christmas is over." It just started! We always enjoyed Christmas until at least the Feast of the Epiphany, it is such a dark time of year, why not leave up the lights and brighten things up! One would never miss if one follows the Catholic Calendar. After all it is published with the commonly practiced ways from the US Conference of Bishops. Christmas Day (December 25th) till January 6th consists of 13 days and not 12. How do you explain that. End of Christmas Seasons varies. However, as Christ is always with us, Christmas runs throughout the 365 or 366 days of every year. Hi Luis, the 12 days of Christmas ends on January 5th. January 6th is Epiphany and begins the Epiphanytide season on the traditional liturgical calendar. I was always raised (Catholic) to end Christmas on January 6th because of the feast of the Magi and also because it was the feast day of St. Nicholas. We children would get a walnut, orange, pencil, candy, and a note of encouragement or love in the sock that we hung from the mantle. Hi Suzy, what a beautiful tradition! Also, the feast of St. Nicholas is on December 6th, not January 6th. The liturgical calendar, then, must be based on the octave as the Christmas season because the Sunday after that is Epiphany and the following Sunday is the second Sunday in ordinary time. So much confusion! Thank you for this article however I am still unsure when to take my tree and lights down. Should I take them down on the 5th or the 6th? Every year I have this dilemma and worry that I got it wrong. I usually take them down on the 6th. Hi Linda, January 5th is the 12th and last day of the Christmas season, and a time of festivities in honor of "Twelfth Night." Epiphany (January 6th) begins Epiphanytide which continues to February 2nd, according to the traditional liturgical calendar. 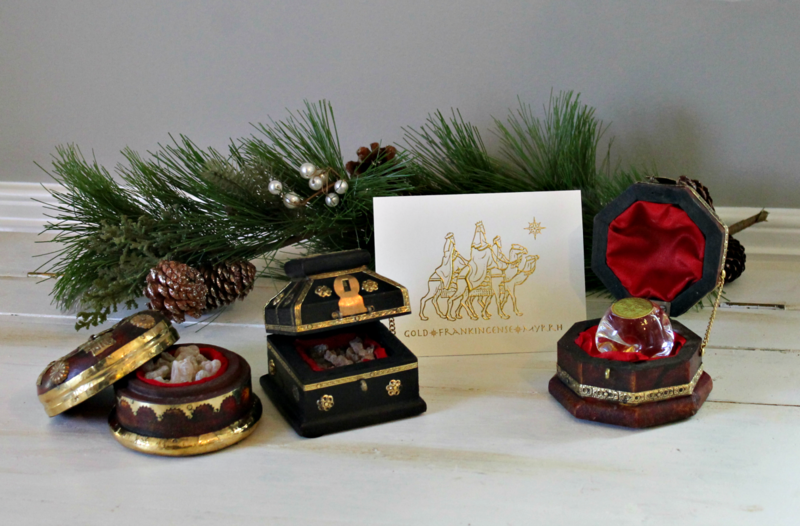 Many Christian cultures have their traditional Christmas gift-giving on Epiphany in honor of the Three Kings giving their gifts to the Baby Jesus. Epiphany also celebrates that Jesus Christ has been revealed as the Light of the World. Historically, Epiphany is a major feast day right up there with Christmas and Easter, so it makes sense to keep the decorations up for January 6th and take them down sometime after. Some traditional Catholics who love the "old ways" keep their decorations up all the way to February 2nd or Candlemas. There is no official rule, since customs have varied from time to time and place to place. The most important is to keep the decorations up for the Christmas octave. still confused about the "Twelve Days of Christmas". When is Day One. Is it Christmas Day or the day after? The 25th or the 26th? Hi Jim, the first day of Christmas is December 25th. 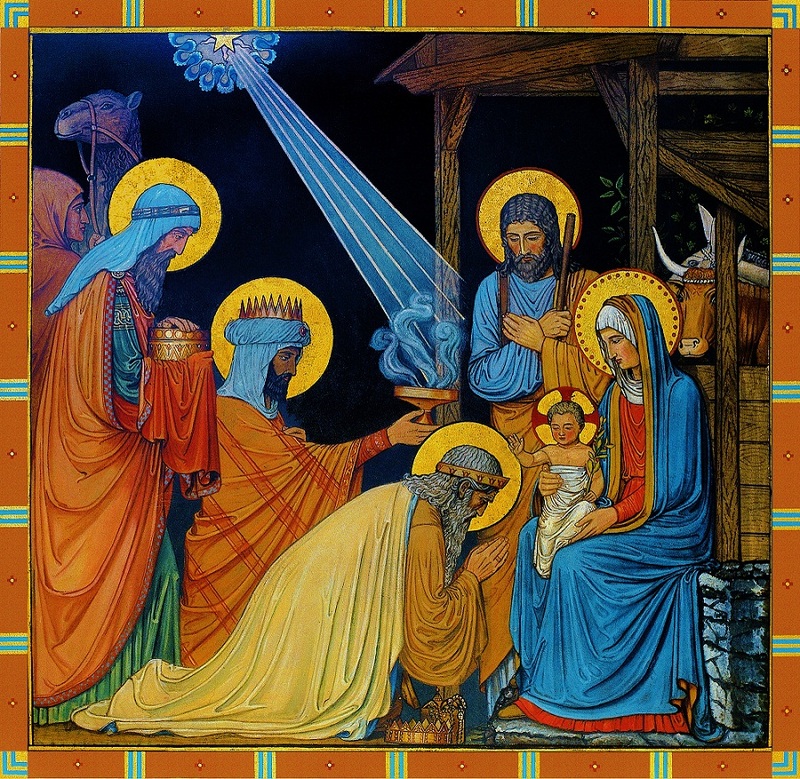 The 12th day of Christmas is January 5th, the eve of the Epiphany (Epiphany begins the season of Epiphanytide). January 5th is also known as "Twelfth Night" and the final day of Christmas celebrations. Epiphanytide lasts until the Presentation (or Candlemas) on February 2nd.